If Americans knew what bullets did to human flesh, they’d support gun control. So perhaps they should be shown in living colour what bullets do to small bodies. A mere description is insufficient for the literal-minded. 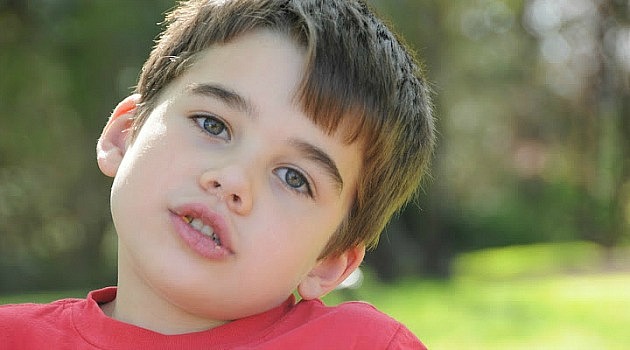 Noah Pozner, 6, was one of the 20 child victims in the Sandy Hook shooting in Newtown, Conn., on Dec. 14. All the dead were shot between three and 11 times. Tiny Noah took 11 bullets. His mother, Veronique, insisted on an open coffin, Naomi Zeveloff reported in the Jewish Daily Forward. You’ll probably remember Noah. He was a happy little guy with beautiful heavily lashed eyes and a cheerful smile. In his coffin, there was a cloth placed over the lower part of his face. She put a stone in his right hand, a “clear plastic rock with a white angel inside.” She wanted to put a matching stone in his left hand but he had no left hand to speak of. Parents of the dead children were advised to identify them from photographs, such was the carnage. But every parent reacts differently. Veronique Pozner did the most difficult thing. She asked to see the body. Zeveloff asked her why. When the governor of Connecticut arrived, she brought him to see Noah in the open casket. “If there is ever a piece of legislation that comes across his desk, I needed it to be real for him.” The governor wept. Death by gun isn’t real to us because we see it only in the movies. We occasionally see photos of human beings as meat, but they are almost always meat belonging to non-white foreigners after a bombing. Those grieving often don’t share an editor’s delicate sensibilities. Jackie Kennedy, on Air Force One after JFK was shot on Nov. 22, 1963, was asked to change her clothes because the sight of JFK’s blood and brains was upsetting people. She cleaned her face and discarded her pillbox hat, but kept the bloodstained suit on. “Let them see what they’ve done,” she said. Mass shootings had not yet begun. And what about the case of Emmett Till? Online Reddit readers commented on one obvious link with Noah. Till, a 14-year-old black boy from Chicago, was hideously murdered in 1955 while visiting relatives in Mississippi. Allegedly, he had whistled at a white woman. Till was kidnapped, beaten, had one of his eyes gouged out, was shot in the head and his corpse tied with barbed wire to a 70-pound weight and dumped in a river. His mother asked for an open coffin. “I want the world to see what they did to my baby,” she said. The photo was reproduced and Till’s death became a huge news story. Three months later, Rosa Parks refused to move to the back of the bus and the civil rights movement took a leap forward. In these three cases, we see the difference between “telling” and “showing,” an old concept in literary criticism. Novelists can “show” events and let the reader draw their own conclusions or they can “tell” the reader the plot as it unfolds. But the literary critic Wayne Booth came up with the concept of the “unreliable narrator.” Can you trust what you are being told? Reporters can tell you that 20 children were shot. But since American gun owners think reporters are unreliable narrators in the first place, perhaps they have to be shown what one man did to Noah because he had, not just one bullet, but a magazine of bullets. We saw JFK’s skull fly apart. Emmett’s unrecognizable face was on show. And that’s why Noah’s mother asked the governor to come and see her child’s corpse. He had already been told. He had to see it for himself. Brought tears to my eyes but can you believe there are deniers who say the killings either didn’t happen or were orchestrated by the govt! ?